If you’ve tried to promote with online marketing, then you’ve probably come across adwords. Adwords is Google’s pay-per-click (PPC) advertising product. Businesses bid to have links to their site appear in the paid section at the top of search results, and when someone clicks on their business they pay Google the amount they bid. How well, and how often, they appear in search depends upon the bid and the parameters of the campaign. Adwords is the largest and most successful example of PPC advertising. All major search engines, social media platforms, business directories and media sites have an equivalent, and they all work in a similar way. PPC Is Not Always Necessary. A business can grow online perfectly well without it in most circumstances. Unless the market you’re in is very new or very competitive, or your business has NO online presence at all, you can succeed without it. PPC Is No Subsitute For SEO. If you remember nothing else, remember this: If your website is not at the top of search results, it probably doesn’t deserve to be. It is most likely not easy enough to use, not responsive, not well designed or not sufficiently relevant to those terms. Throwing money at it will not fix those problems. PPC Is Expensive If Poorly Managed. This is especially true of inferior websites. The more difficult your website is to find or to use, the more it will cost to rank well in PPC. PPC Works. 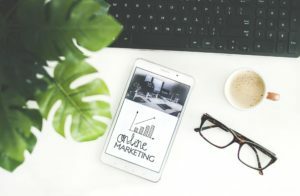 Despite these caveats, when used correctly PPC can be a great way to grow your business online. It’s much cheaper and more efficient than traditional marketing, and its natural accountability makes it very easy to see what works and what does not. Sucoweb will manage your online marketing. We’ll help you choose the right platforms, the right terms to target and the right budget for the best return. Our sites are designed to make the most of PPC traffic, and the tracking tools we provide will ensure you always know exactly how your ads are performing.